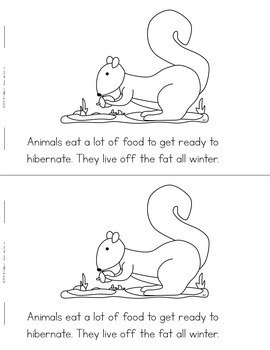 Hibernation can be a tough concept for young students to grasp. 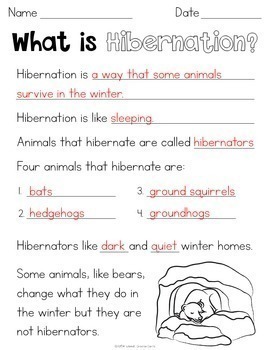 This unit was designed to help you lead your students through the topic of hibernation. All the passages included are meant to be read by the teacher, not the students. I suggest reading or referencing these pages during your lesson. 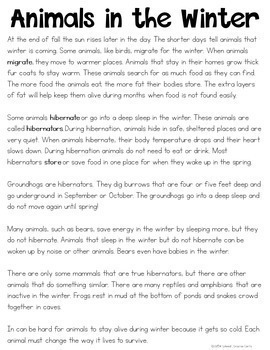 The Hibernation Informational Reader will be difficult for young students to read on their own. I suggest making a copy of the book for each student, reading the book to the class as they follow along, and then have students explain the book to a peer – using the pictures as guides. Should you decide to talk about migration and adaptation, there is a little information provided on those topics as well. The blubber experiment included is a fun way for your students to get a hands-on experience. 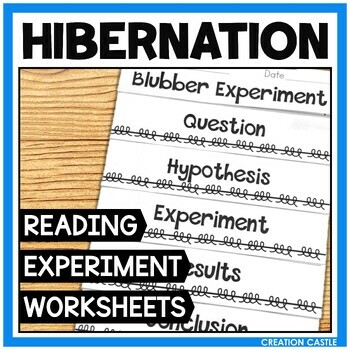 Rather than completing a worksheet, there is a tiered book included to take them through the scientific method.